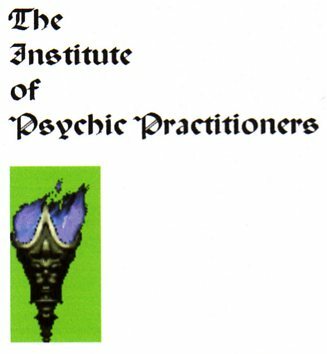 offers courses and certification in Psychic Practitioner, Psychic Mediumship, Spiritualism, Tarot Reading, Psychometry, Aura Reading, Palmistry, Numerology, Geomancy. Psychometry [Dip.Div.] Psychometry is the study and practice of divination by touch. We can touch a person or an object connected with them and be able to translate the energy flow into messages of relevance. The college’s course covers learning to see through touch, how psychometry works, the basics of psychic touching, enhancing our sense of touch, developing our power, empathy, psychometry reading techniques, precautions and protections, and personal empowerment. Psychometry is a useful skill which can be applied in Paranormal Investigation. Aura Reading [Dip.Div.] Aura Reading is the study and practice of spiritual communication between individuals harnessing our outer presence known as the surrounding aura.. The college’s course gives access to this fascinating and important part of being a human by examination of what is an aura, learning to see the aura, measuring our own aura field, the meaning of colours in auras, strengthening and protecting our aura. Geomancy [Dip.Div.] Study the art and practice of Geomancy, Geomantic Divination, Geomantic divination and magic, Geomancy is the practice of divination, magic and the Earth wisdom of the renaissance. Palmistry [Dip.Div.] Palmistry is one of the oldest forms of divination and human contact. The college’s course examines every aspect of the subject including its relevance in today’s modern world. The course covers the geography of the hand - medical areas and markings, major and minor creases, apices, psychosocial area, form and character analysis, the fingers, the knuckles, Ayurvedic personality, traditional Chinese palmistry of the fingers, topography of the palm, patterns, the lines of the palm, special marks, stars and problems, the future of palmistry and what it has to offer. Tarot Card Reading [Dip.Div.] You can acquire the skill to be an expert Tarot Card Reader whose clients will come back again and again for readings. Your course includes a beautiful illustrated set of Tarot cards, a copy of the original A.E.Waite text book and a College booklet bringing the skills up to date with new findings which will help you to give really accurate readings which your clients will appreciate.